Over 400,000 U.S. children live in foster care, and over 20,000 age out of foster care every year without a stable family to support them in adulthood. There’s definitely a need for people willing to not only be foster parents, but adoptive parents as well. Adopting out of foster care can be challenging. The children who have been through the system have often experienced tragedies and separations, which makes their need of a forever family all the more important. Adoption can make the difference between being homeless and living successfully. When you talk to your agency, be specific about what type of foster parenting you’re considering. Not every state offers the same options, and the vocabulary can be different as well. You’ll probably get a better idea of the types of foster care during the beginning orientation meetings. So take notes when you attend! Foster care parents and foster adoption parents are similar but different. During the process to become a foster parent, make sure you know which one would be better for your situation. Foster Care and Foster Adoption: Does it make a difference? If you decide to do regular foster care, you still have a chance to adopt, but most of the children who come through your home will have “reunification plan,” and there’s still a chance that they’ll be able to go back to their biological families. Adoption can become an option if this suddenly changes. If the child has no relatives to adopt them, then the current foster family will usually be the first choice for an adoptive family. Read here why the Hilton family chose the regular foster care route even though they were planning to adopt. Children placed into foster adoption homes are usually legally ready for adoption or almost there. This doesn’t mean that adoption will automatically happen with the first or even the second placement, but chances are usually higher. When adoption becomes a possibility for you and your family, the next step is deciding which type of adoption will work the best for your situation. Foster care adoption, like all other types of adoption, has its own share of challenges. But there are also some amazing experiences associated with foster care that you wouldn’t get to see any other way. Is becoming a foster parent a good option for you? Click here to take an assessment to find out. These kids need a home too. For a variety of reasons, some people prefer to adopt babies. That’s great! Babies need a safe place to live, especially at their vulnerable and dependent age. But still, once a child has grown up a little, that doesn’t make them any more ready to face the world on their own. And in foster care, even with adults all around them, it can certainly feel like they’re alone. Foster children don’t have the same kinds of chances as everyone else. When you’re being moved around constantly, not only do you lose stable family connections, but it can be difficult to keep in touch with friends and mentors. The process of growing up is destabilizing enough without adding foster care to the mix. Being adopted into a home would give them the stability they need to have a chance at future success. Click onto Adoption.com’s photolisting site for children who are in need of homes. Prevent children from aging out. Do you remember what it was like to be a young adult? It’s that stage of being independent, yet not knowing fully how to be independent. Often, we have to ask for our parents’ help in difficult or new situations. Children who age out of foster care lose that guidance. The foster care system is efficient–getting children into homes and schools, to see the doctors and dentists–but unfortunately, the children rarely get to be a part of that process. As soon as they’re too old to be in foster care, they’re left without the support of their case workers, and they have no one to turn to when they have questions or problems. While special programs for aged-out foster children exist, they aren’t universally available. What happens when kids age out of foster care? What’s the Point of Adopting a 17-year-old Kid? This is the last reason because, quickly frankly, it’s the least important. No matter where you adopt from or how you go about it, there are grants and fundraisers available for families who can’t afford lofty adoption costs. Plus, it’s about the children, not the money. Many parents are tired of people asking, “How much did your child cost?” when no one would ever ask that about a biological child, even though births can be pretty expensive themselves. But, of all the ways to adopt, adoption from foster care costs the least. You still might have to pay for an attorney, home study, and other situational expenses (some states will reimburse you). But the cost is usually no more than three thousand dollars. If you plan to not just be a foster parent, but also adopt, it would be a good idea to let the agency know. Then you can become dual-licensed, which gives you the ability to do both foster care and adoption, and will reduce the hassle that comes when you find a foster child to adopt. Find out if you qualify to be a foster parent. Do you have 1) enough money to support your family 2) a relatively clean criminal history 3) enough house space for more children? If you answered yes, you more than likely legally qualify to be a foster parent. Age requirements differ from state to state, but they’re usually more restrictive on adoptive parents than foster parents. Determining if you’re mentally and emotionally able to help these children is up to you. Being a foster parent is an amazing calling, but sometimes their instability can affect you–both your home and your heart. Research it. Decide what you can handle. Don’t forget that you’re a strong person if you’re even considering it. Take this quiz: Are you ready to become a foster parent? Nowadays, foster care programs send foster parents through a string of orientations and training programs. While all this is useful, do your own research. Read blogs and join forums dedicated to foster care. Get advice from people who have lived through it. Processes and experiences can vary broadly, especially from state to state. The more closely matched a mentor is to your situation, the better. States will sometimes require hopeful foster parents to attend an orientation (or several) before they can submit an application. Luckily, a quick internet search (i.e. 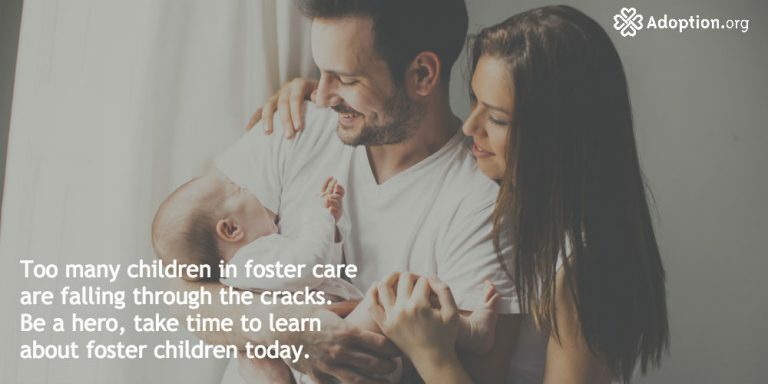 “Foster Care Orientation Washington County Oregon”) will usually give you specific information on dates, times, and places for the orientations. Expect a one- to two-hour meeting. It’s a good way to get a general idea of what you’ll see in foster care. They’ll also be able to give you a good idea on how to get started with the application process, which can vary from place to place. Each state’s foster care application will be slightly different, and sometimes the process can even vary from county to county. Generally, you’ll have to provide information about your 1) finances, 2) criminal background, 3) marital and family relationships, 4) home and neighborhood, 5) education and employment. Attend classes on foster care and adoption. After your application has been reviewed, you’ll probably be assigned to attend a series of workshops and classes to educate you about foster care and adoption. They’re usually scheduled around the times of most 9 am – 5 pm jobs so that working adults can attend. Click here to see some common pre-adoption education programs. A social worker will do a home study with you to make sure that you’re properly prepared to house a child from foster care. If you’re planning to adopt, let them know. Many states have different procedures for foster care home studies versus adoption home studies. Avoid a hassle and have both done at once (if needed). A home study includes house visits, background checks, and paperwork. Each state will have a slightly different process, and it usually take several months. It may seem invasive, but remember, the goal is to make sure that your home and family are healthy and safe for children. So, be yourself. Be honest (dishonesty will definitely hurt you in the long run). If you’ve done your research and have prepared well, you’ll be fine. What does a home study involve? Don’t be afraid of waiting–you’re going to do it a lot. You’ll wait for paperwork, confirmation, phone calls, more paperwork, more confirmations, and finally for the children. And since foster care and adoption is never certain, you’re probably going to wait some more. It’s a wonderful time to develop patience! And you certainly don’t have to be idle–prepare yourself, your family, and your home for new arrivals. There’s alway something new to learn. Prepare your house for arrivals. When you know that you’re close to being approved as a foster parent, you don’t have spend the time sitting around. Time to prepare! First, you’re going to need basic necessities for living: bed, blankets, towels, and sanitary supplies. Some people recommend having food and clothes on hand, but since you never know what diet restrictions or clothing sizes you’ll need, it would probably be best to hold off obtaining these items until a child is placed with you. When a social worker finds a child who potentially fits with your family, you’ll finally get that long-awaited call. No matter how eager you are to finally have a child in your home, take your time to review the child’s profile and seriously consider the impacts of the placement. This is especially important when you have the potential to become the child’s adoptive parent. To adopt a foster child, you generally must be certified as a foster parent first because the child you adopt will probably live with you for several months (to over a year) before the adoption process even begins. Don’t forget, adoption is a lifetime commitment. Once you’ve adopted a child, they’re not only your child forever, but you’re also the parent. Make sure that you’re willing to face all of the challenges and joys that come with being family. Will you need to complete another home study? If you became a foster parent without hinting about any adoption plan, it’s possible that the state will require you to do another home study. Foster care and adoption home studies usually have different components. What is the difference between a home study for foster care and adoption? Photolistings give profile information about the children who are ready to be adopted. Their parents have relinquished their parental rights or their rights have been terminated, and now they need a place to stay. Most of the kids in photolistings are older children, are part of a sibling group who would like to be adopted together, or have special needs. If you tell your social worker about a child that you’re specifically interested in, it’s possible that they’ll be moved to stay with you. Even if an arrangement isn’t possible, it will help your social worker know what type of children you’re looking for. You’ve been matched. Now review their profile. After a lot of waiting, a social worker will finally call about a match. Finally! But before you jump right into the placement, review the child’s profile, especially if the child is waiting for adoption. If it’s clear that the match will fail, don’t even start it. There’s no need to add more separation to the child’s life. If the child has been living with you for a while, and it’s clear that they don’t fit into your family, make sure that you don’t go through with the adoption. Before you think that this is an easy way to jump ship every time a match goes a little wrong, remember that these foster children already have attachment problems. If a family they’re matched with decides to opt out, it will probably be seen as a rejection. Their confidence in adults will diminish even further. We want them to know that they are cared for and that every decision is out of consideration of their circumstances. Learn about legal risk placements. Some states place children into potential adoptive families before their birth parents’ parental rights have been terminated. This happens when laws don’t allow parental rights to terminate until after placement or if the parents’ statuses are uncertain. Even if you bond with the child, and even if they seem perfect for your family, keep in mind that the adoption (while likely) might not happen. But don’t let this stop you from trying to form attachments! The legal process of adoption can be complicated and arduous. Instead of doing the adoption themselves, many hopeful adoptive parents would rather have a lawyer sort out the legal side. You might be different. Self-assess your legal knowledge and research capabilities. If you think that you can handle it, more power to you. Be careful to carefully consider all of the laws and steps, and get assistance from people who have already gone through the process. If it looks like the child’s family members will fight for legal rights or if there are other complicated factors, then hire a lawyer. It’s better to be safe than sorry in these cases. Sometimes you can get a free consultation to determine the need for a professional. When did you decide to hire your own lawyer? A placement will be made. Hooray! A child finally arrives at your home. Even if they’re open for adoption, they’ll probably be required to stay at your house as a foster child for several months before adoption. Sometimes it can take a year before the adoption process can start. Once your foster child has lived with you for the required amount of time, you can petition for adoption. When you petition for a foster care adoption, you can generally do this through a public agency (for example, in Alabama you can petition through the Department of Human Resources). This step is all about paperwork. For example, you’ll need birth certificates, proof that your child’s birth parents have surrendered their parental rights, and numerous other documents that certify you as a good citizen. You might be matched with child from another state. If this is the case, you have to go through the Interstate Compact for the Placement of Children (ICPC). If this turns out to be the case for you, then it’s a good idea to let a lawyer deal with all of the the communication and paperwork. Processing can last up to six months. After your adoption petition has been recognized, a judicial proceeding will decide whether to grant you rights to the child. The hearing lasts about an hour. You, the child, the child’s social worker will appear before the judge. Sometimes the child’s birth parents will appear if parental rights haven’t been terminated or if you plan for an open adoption. If all goes well, the judge will sign the adoption order. Congratulations! You’re now a family. You can breathe now. Journals are a good idea for everyone, not just the the child you’ve adopted. Once we’re older, memories of childhood and earlier years can fade, and journals can help keep our best memories alive. This could be important for the child you’ve adopted. Help your child scrapbook information and memories about his or her biological family and foster care experiences. There’s a lot of emotion involved in the separation from family and life in foster care. When they’re older, they may appreciate having a way to remember those important parts of their life. Plus, this could be a great bonding activity for you and your child; feel free to include the rest of the family! Adopting from foster care usually means that you have to make special considerations during your preparations to welcome them into your family. In the short time they’ve been alive, foster children have often faced many trials. A majority of these children have special needs. They might be disabled physically, mentally, or emotionally, and there might be other health considerations that you’ll need to take into account. But even the children with no diagnosable problems will often need focused attention and care. As these children come into your life, be mindful of their situation. Do research about their specific conditions. Be ready to jump in and be their advocate and hero! Although it would be amazing if you could single-handedly care for these children by yourself, often that isn’t possible. First of all, you’re not going to be able to hover over these children 24/7. You’d break if you tried. This means that you’re going to want people who can babysit when you need a break (there are different laws in every state about who can watch foster children). Secondly, parent-child relationships are usually pretty complicated. Sometimes an outside source can connect with the children in ways that you can’t–an outside source who isn’t a teacher. Developing relationships with members of the community would not only help you and your children, but it can also help undermine some of the stigmas people have about foster care and adoption. The more people around you with minds to help and welcome the children you bring into your home, the better experience everyone will have. You can also grow an online support system by finding and participating in adoption forums and discussions found at adoption.com. Many foster children will have at least some recollection of the families they were born into. They’ll associate feelings of heartbreak, anger, sadness, and even happiness with this family. Sometime their social workers will have arranged visits with their birth families, which can create an even more complex relationship. Once the adoption process begins, the children might come to the realization that they’ll no longer be a part of their birth family. Even if they’re elated about the adoption, they’re probably going to be sensitive about the loss of their other family.